My focus is changing the little things that waste time, and that wasted time slowly adds up. If I'm playing a game in my free time, I really don't want to waste that limited amount of time waiting for things to happen. Shared slots for harvesting tools. For every character, I have to switch tools, remember to switch when i'm done. Sometimes I forget to switch back at the end of the night, so next time, log in, realize that character can't get the tools, switch to the character with the tools, unequip, and switch back. I'd be willing to pay something for shared tool slots, since it would free up shared slots. Crafting is another time waste. Having a stack of mithril or other higher tier material and just watching the thing spin seems pointless. Lower tier materials refine faster, let the high tier ones do so also. Or instead of watching the things spin around, just do it as one blog, adding a pop up if concern people might accidentally refine more than they want. For dailies, make the Tyria events ones only available to players without PoF. There's already the "do one task" daily that's been implemented in the PoF zones, as the hearts are repeatable. 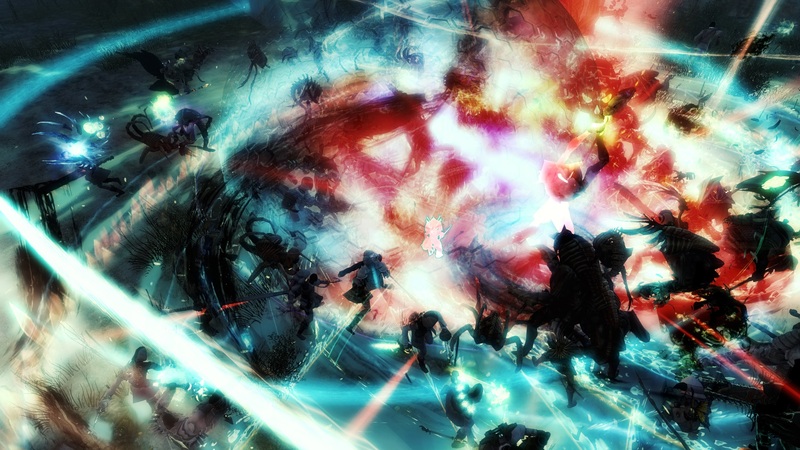 How about that one showing, for PoF owners, instead of the "do 4 events in [Tyria zone]"? It is an exercise in frustration trying to even get 1 hit on an enemy NPC when other players are leaping to them, and onto them, with their mounts. Escorts and protecting points events are both affected by this difference in player capabilities. With the player base being 24/7 there is never an "off time" for doing this type of daily. Potentially you're pushing players into PvP and WvW in order to get their other daily achievement. Which affects those game play options for other players. After creating 180 amalgamated gemstone and over 100 mystic clover in the mystic forge. I think it has been asked again and again over time but: STOP SEPERATING ARMORS IN TWO VERSIONS (male and female), I'm thinking especially about the aetherblade armor, I want to put the female shoulders pads on my human male, and I want to put my male gloves/boots on my female norn -_-, can you at least for any armor that have male/female version give us a gizmo allowing us to choose between the two versions? Ps: Add a right click option on skins within wardrobe bank tab allowing previewing the male and the female version of the item. Make HoT’s daytime, Pylon, and outpost event chains soloable. Aside from the metas, people often don’t do the outpost stuff. This makes it annoying to do the outpost event chains. This is another problem I've had, so far twice I've been secretly gifted something from a friend that I already had, when that happened we had to go through the whole process of contacting a dev, confirming a delete and getting a refund which officially ruined a nice surprise by turning it into a big production of getting a refund. If it's a mount skin pack or a glider or any other one time use cosmetic item the gem store should just void out the names of people in the game who already have the item, this is 2019 that doesn't seem like to much of a problem to implement and the fact that it hasn't been already is kinda mind boggling. Another personal peeve but not on my behalf, I use the spring promenade dress on my character and my friend wanted to put it on her sylvari since it could match the peacock mount but since she had a male Sylvari it was just the exceedingly boring suit version of the outfit. When the look difference has that big a gap we should be able to pick which version we want. It's different when the main change is the female version shows a little leg and the male doesn't but the spring prom outfit is an excellent example of how the two outfits aren't even remotely similar! It's not even like the suit had a really flowery design it's was almost like a regular everyday suit. No matter which race you pick you're just a human commander now, they don't use their native slang or beliefs, like a Charr just says respect Kasmeer's religion when the whole thing about Charr are that they're godless heathens (not to mention that your Charr is super high ranking but it means nothing suddenly) or when you play Asura and how their whole thing is thinking they're smarter than everyone else but you as the nicest Asura on the planet don't do that and even get ripped on for being dumb sometimes (even though, you know, you won the Snaff prize which is one of the highest awards in Asura culture). Then there was a big fake out in diversifying how gameplay works based on your profession. There was one scene in the game when you're breaking out of the prison to get the Sunspear leader free there was a different way to escape based on what you played as! That was awesome but it was the only time it happened. Locked Inventory Bags; only used manually, nothing goes is automatically in, protected from sort & vendors. Used on top of the character's inventory for the most used or valuable items, like gear and consumables. Ascended Bags: ascended or legendary items will fill this one, if possible. a Mystic Chromatic Ooze infusion. a tuba musical instrument in the gem store; a simpler version of the Musical Verdarach. (still) moveable GUI elements. Particularly the target display is awkwardly positioned. Outfits storing dye settings individually. How about a detection for the well known hack tool. I can link you where they sell it, or does this not matter? Over 15k downloads a month, now that probably works out to about 20% of the people in PVP are using it. Who is getting rich off this? Sure would be easy to make if you where a DEV.... Sony busted their devs making tools and hacks, selling platinum and more... 15k downloads, 30 dollars, 450,000 dollars.... so, who is getting rich selling the hacks to your game? Its so old and bother sum that nothing is being done at all when it should be easy to make detection. 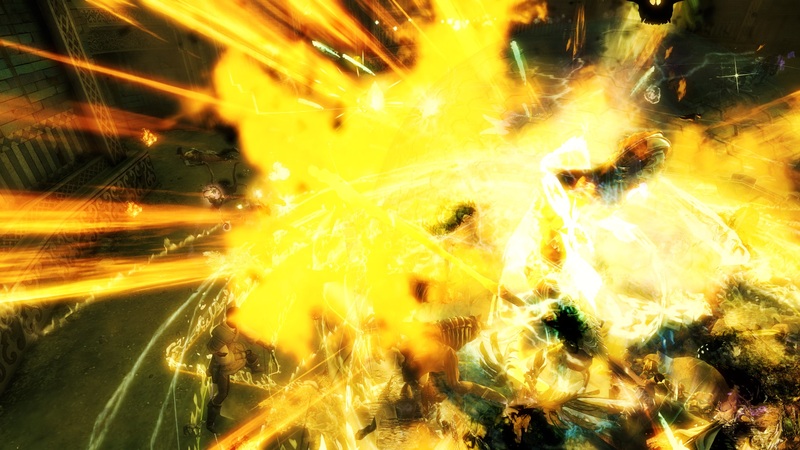 Its already half broken in PVP with mesmer and dead eye so over powered its a swear word. How about testing some of this stuff before release. Just this week i am pretty sure at least 18 of the 30 games i played had someone using the telehack. Thats over half of the games. Is anyone ever going to do anything or will that just create a problem for the person selling it? Ahkums Razor, the easiest explanation is the most probable. Who better to make a hack? Those who know the game? Send me a private message, ill show you where it is.. Im sure you know already though. How many years has this gone un touched? At least 4. Crafting mastery to change item's required to make an item if you have created that item in metric tons. AFK what cannot be AFK'd. In Twilight Arbor explorable Forward path, please fix the part with the elite archers inside the shield bubbles so that Ranger pets and other minions don't automatically die when entering and summoned. Switching pets while inside a bubble also causes the newly summoned pet to instantly lose all health. how to make lots of gem sales..... Variety of stand lone, absolutely new dragon mounts. (not aurene) not shatterer, etc..) All new skins that are not based off the griffon mount as well... Totally new, awesome dragons, make lots of different ones. You will sell a (bleep) ton of them... Your welcome... Sure maybe offer tequatl and stuff, but totally new ones would be best in my opinion... Sell and make more tonics for combat... even allow them in PvP matches? There are many ideas for great things. Balloons, minis, and some things are just not very interesting to me... The dragon mounts will make ya hundreds of thousands of dolla! In game item that can be an mp3 player for playing music on your pc, obviously it cant play it for others due to copyright, but just something to control your own files and play back as ya play! I am glad that the Gem Store sells Bank Tab Expansions. I've purchased many, and while convenient, it has led to another issue. I have so much stuff, and there's no sorting other than what I can do manually. It would be an amazing boon to be able to sort either the whole bank or by bank tab. It would also be fantastic if each bank tab could be labeled - similar to how the guild bank tabs can be labeled. While you're at it, would you mind making items in the guild bank stackable while in said bank? Now that I think about it, being able to double click or right click to deposit (and if the same items are in the bank, having them stack automatically) would be nice too. Please make these simple requests into a reality. Thank you! My suggestions are about guild decorations and the scribing UI. I did some search on the forums and I didn't find these anywhere. If they were mentioned already, I apologise. It would be really nice to see the decorations be categorised in the crafting UI similar to how they already are in the decoration select window. Architecture, furniture, trophies, statues, etc... It's a really long list and would be nice to have a system to it. It would be nice if there was a build preset option. Sometimes I like using axes on my ranger and it would be nice if I could have that build saved ( specifically the specializations) so I could more easily switch between them and my regular longbow settings. A normal circumstance where this happens is when I'm on a boss train. I usually adjust weapons to suit which boss I'm fighting and have to adjust quite a few times. I know it doesn't matter and could probably longbow (and do be cause the switching gets annoying) but it's more fun when I can vary playstyles. Sometimes I am doing map conpletion and I need to keep zooming in and out of the minimap or even opening the Word map to check the position of stuff in the map. What if you could, through the menu or minimap options, choose to keep the size of icons like Vistas, HPs, etc "default" for any zoom? This way, if I have the map zoomed out, I can still see the position of shops and world completion icons. This already happens with Commander Tags, would be great if we could do it for everything else. Can we get an endless transmutation ticket or something along those lines. 1. Shared slots for harvesting tools. For every character, I have to switch tools, remember to switch when i'm done. Sometimes I forget to switch back at the end of the night, so next time, log in, realize that character can't get the tools, switch to the character with the tools, unequip, and switch back. I'd be willing to pay something for shared tool slots, since it would free up shared slots. add ascended shards to the ATournamet rewards... not all of us want to continue to play ranked with all the hacking happening. Additional set of shortcuts on the main UI for which you can bind keyboard keys for items and novelties and other stuff like mentor tags... Every rpg should have those. I would also use novelties more if I could bind them. A rework of the skyboxes and light in krytan maps. Probably doesn't belong here but the bloomy pale sky is an eye sore compared to any newer maps. Two huge QoL things for me and im sure others are. Put in a scale to adjust or turn off player spell effects!! Seriously this is not fun, and it probably damaging my retinas, i cant see anything but flash. This was linked by Bluejin in another thread, but i feel its an important issue, esp for us that play on big HD monitors. Its painful to have to try and see through that. Even a slider to tone it down! And the other big thing is minions! On a necro everytime you hit a load screen you lose your minions, even waypoints will sometimes drop them. I dont see this with ranger pets so much. But necro minions its all the time. Sometimes you load in to a hostile area and you have no minions up to be ready for the fighting. It may seem small, but its QOL issue to be sure. I'm sure this has been mentioned before, but I would love to have build switch tabs. When I run around I often notice there's enough dps and not enough support, or vice versa. This way you would be able to switch quickly, without having to fill out the trait lines. Since I don't do pvp or WvW, I can't judge on that, but I do think it would be helpful in the open world. Like others I'm also in favor of not loosing your Necro minions, during ports, etc. A hide button would be nice, for when you're standing at the bank and other places where you don't need them. My ranger has that and I use it very often at crafting stations and such. Only the player who place them can retake them in his personnal storage. Having checkpoints for Mordremoth during HoT’s Hearts and Minds story would be nice. I did this on 9 characters and 3 of them encountered bugs that forced me to restart Mordremoth back from 100% HP. I’m guessing I just got unlucky, but 1/3 chance of being forced to redo this story was annoying. 1) Shot out of the map during gliding phase. Well known bug. 2) I was in the 3rd gliding phase when my glider wouldn’t redeploy in the air. I fell to my death. This was probably lag and not a bug, but a checkpoint would have helped. 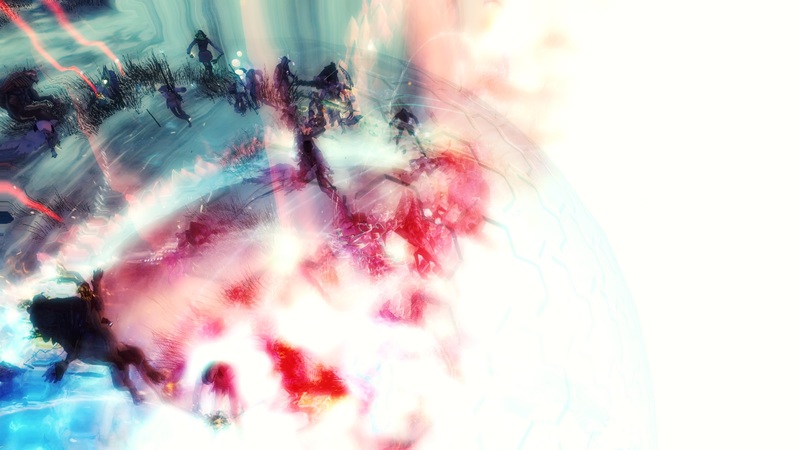 3) I just did the story on my Mesmer and for some reason, during the gliding phase, I got stuck inside invisible walls. I couldn’t get to Braham for protection, nor could I get to an updraft, so I got electrocuted on the ground. Retried mission, and again, I got stuck inside invisible walls. Braham was literally 2 steps from me, but I couldn’t get to him because of invisible walls. Fortunately, there was an updraft next to me and I was able to glide up this time. Still almost died. Whether the player fails due to bug or lag, it would be nice if Mordremoth doesn’t have to be restarted from 100% HP. And while I’m at it, a checkpoint for Victory or Death personal story, for players who get disconnected or bug out, would also be nice. Block specific player's item sounds. I would love to be able to leave the player instrument volume up but block all the people that troll it. And the boomboxes can get tedious ('tis the season). Add another one for me too, build templates! Years of asking for this )) If it's of any consolation, I believe some dps meter plugin popular among players has inbuilt feature for build and equipment templates. How about an UnSoulbinder device that lets us make a soulbound item account bound? A mystic forge recipe for Mystic Clover. Its already really hard to get and risky if you want to do it the "cheap" way. There are a lot of ascended materials that just lay around doing nothing but the droprate is insane. Sure sure its useful for legendary crafting. But not THAT MUCH. Could just combine a stack of Dragonite, Bloodstone and Empyrial to a gift, Airship Oil, Auric Dust and Ley Line spark into another, add obsidian shard and some mystic crystal or smth and bam, a reasonable recipe for a high end material. Add a dark background to chat text so that we can read chat without being forced to keep chat panel on. How about re-pinning the Official Gemstore requests thread? That'd be a nice QoL change. Now that I had some time with this... I REALLY don’t like this change. Give us an "identify all unIDed pieces of gear" option right above "salvage all" options when using a salvage kit. Another option is to give us a check box in the options menu so that the game automatically ID's all unIDed gears players receive. Salvaging unIDed gears directly results in significantly less loot so the current set up adds multiple additional steps for the players before salvaging. Ability to toggle what properties (invisible, equipment, craftmans, etc) each bag you have is. The significant cost of each bags is the rune, note the minor amount for other type. And since there is no visual, other than initial materials, it doesn't make a difference whether it is a mithril, leather, etc, bag. The desire to change bags happens as the game itself changes features. Or if the difference of price is considered important, add a vendor someplace that charges some amount of gold for the service. We don't need all combinations - generic 20 slot bags with the end result is all that is needed. Or maybe more interesting, follow the idea of gathering tools, and add bag glyphs, and the glyphs determine the extra properties of the bags. Also move the Minimize and Close buttons to the left of the fancy artwork on the Launcher so that they are significantly easier to identify/find. If you are planning to add more achievements like the "chasing tales..." achievements from the last LW episode where you have to kill X amount of enemies/branded please add a counter to it so we can see how many foes we still need to kill. Please exclude Unid gear from salvage all. Button that will perform identification of all Unidentified gears. I belive everyone will understand why we needs this. Simple one for me- i know that eventually ill have enough HP unlocked for all specs, but i am baffled as to why you cant reset HP spent on elite specs. I would imagine it is a design decision rather than 'too much work' however as it is such a simple thing. I have a big point to make for quality of life for the game enonomy because right now, it honestly feels like everything is really, awfully to cheap in regards to a lot of the crafting materials, which came from Path of Fire spamloot events and general income of gear. Arenanet should increase the cost of crafting recipe's to counter the vast influx of various materials so that they have some value again, the reason for this is that when everything has less value, people feel like a lot of things they do is not really worth doing or worse, being left out because the best money income is from places they don't enjoy which is a fair point to bring to the table, as it is impossible to expect everyone to play high level things where the most money is, different people enjoy different things, but on the whole, because of the low value of items, it decreases the enjoyment out of things people do like, which for all intents and purposes is also, making gold to buy the things they desire. For this i would recommend that instead of needing 2 silk scraps to make a bolt, make it 3 or even 4 to create one bolt, this could also be done for a lot of materials in which the tradepost is just drowning in, it would encourage more trade because people will be able to sell items they don't need in exchange for the item they do need and feel like there is some point in doing content again which is just good for the game in general. I feel the general state of the economy is so out of whack, it needs adjustment not in how loot is gained, but in how we spend it and doing it through the various crafting and refinement methods is the easiest way for arenanet to encourage better prices and tone the recipe's down again when prices soar out of control, they did do this back in the day and i wish they would again to entice the market and have players feel like items are once again worth something, and even though i myself sit on 28 legendary items and they hardly feel like a great achievement because of in part, the low prices which just makes it less of a journey to get there. You'll end up with about 370 extra hero points by the endgame. There is literally zero reason to do that. Might be a bit noob friendly being able to respec any time but this is not call of duty to please the casualest of them all.